Thomas K. Ventura began working at Carr & Carr in the Oklahoma City office in 2013. An experienced personal injury attorney, he spent the first eight years of his career working for another local law firm. Thomas has focused his entire legal career on helping people injured as a result of motor vehicle accidents, slip and falls, dog attacks and many other types of injuries. He has negotiated with insurance companies and tried cases to juries resulting in millions of dollars recovered on behalf of his clients. Born and raised in Las Vegas, Nevada, Thomas moved to Oklahoma to attend college. By the time he graduated from law school, Thomas knew Oklahoma was where he wanted to live and raise his family. Thomas has three children, Victoria, Samuel and Olivia. When not working, Thomas loves to spend time with his children, play basketball with his son and, of course, root on the Thunder. 2000 – Bachelor of Science, Forensic Science, University of Central Oklahoma, Edmond, Oklahoma. Thomas received the inaugural Forensic Science Student of the Year award. 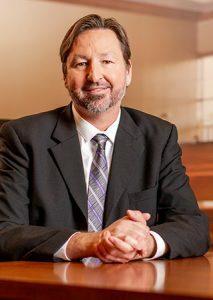 2005 – Juris Doctor (with distinction), School of Law, University of Oklahoma, Norman, Oklahoma.